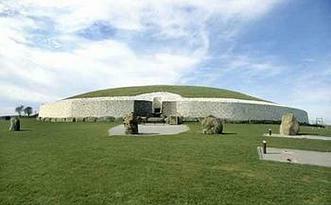 Newgrange was constructed about 3,200 B.C. (over 5,000 years ago). Newgrange was built during the Neolithic or New Stone Age by a farming community based on the rich lands of the Boyne Valley. Knowth and Dowth are similar mounds that together with Newgrange have been designated a World Heritage Site by UNESCO. The Battle of the Boyne Visitor Centre located in Oldbridge is less than 5 minutes from the Sheephouse Country Courtyard and tells the story of one of Irelands most famous battles. It was fought by 25,000 troops (Jacobites) under King James and 36,000 troops (Williamites) under King William and represented a battle over the British throne, French Dominance in Europe and religious power in Ireland. The visitor centre is an excellent resource with a museum and grounds to explore. Just minutes from the Sheephouse Country Courtyard lies Funtasia Waterpark and Entertainment Centre, where families can enjoy this Egyptian themed entertainment center featuring the first of its kind in Ireland, pirates cove interactive waterpark, with over 200 activities including the super bowl speed slide and the Boomerang. Other attractions include the Atlantis Cove play area, a 14 lane bowling alley, Roller skating rink, crazy golf, rock climbing, a luxurious Casino, Pharaohs fast food restaurant, video games, simulators and lots lots more! Located just outside Ashbourne Tayto Park is a fun filled day for all the family with over 100 attractions. At Tayto Theme Park they have an abundance of facilities to make your visit to them more enjoyable.The park and play area guarantees hours of fun for all the family. The full visitor experience takes approximately 4 hours from start to finish. There are too many attractions to list but go to their website today to find out more. 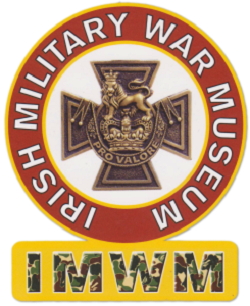 Opened in County Meath on the 6th of June 2014, the Irish Military War Museum offers a fascinating insight into Irish participants’ involvement in both World War One and World War Two, as well as other military conflicts in world history. The Irish Military War Museum, covering 5,000 square feet of floor space, will represent a distinctly non-political but ‘must see’ educational and historical resource for people of all ages and from right across the island of Ireland and beyond.